In 2017, we launched a new Urban95 partnership with Bogotá and Bloomberg Associates. 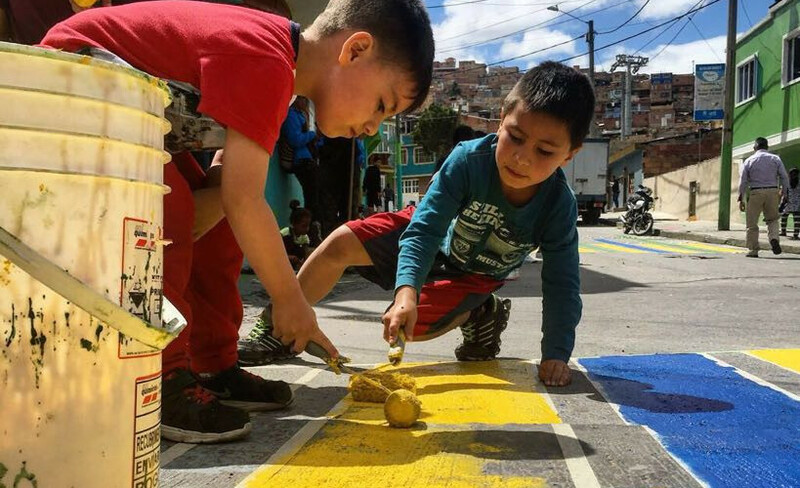 Out of this collaboration came the concept of a ‘children’s priority zone’ – an idea that is rolling out as a pilot in one Bogotá neighbourhood. 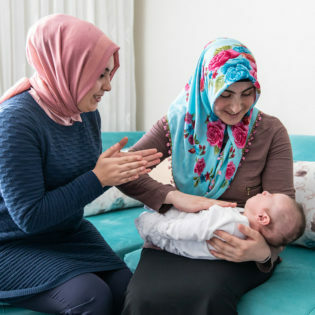 The premise is to implement a package of interventions across a defined geographic area, beginning with temporary activities to engage communities, before moving on to more permanent investment in infrastructure and human resources. BvLF’s Urban95 programme aims to incorporate a focus on early childhood development into the design, planning and management of cities by working with urban leaders, planners, designers and managers to ask: “If you could experience the city from an elevation of 95cm – the height of a 3-year-old – what would you change?” As this is a new question for many cities, it can be useful to start with a practical demonstration in a small area to inspire more city-wide changes. 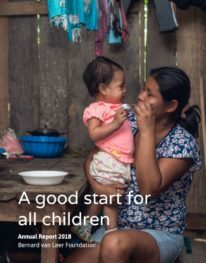 Establishing a children’s priority zone starts with finding an anchor institution – perhaps a childcare centre, playground or health clinic – and defining a perimeter around it. 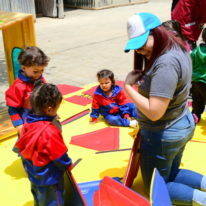 Initial events are held to raise awareness and bring families in the community together. 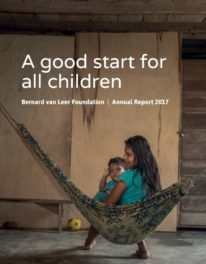 Issues affecting children are researched, and solutions proposed – for example, safer road crossings near schools or parks, the rehabilitation of abandoned space into a garden where families grow healthy food, or the allocation of land for a health outpost to increase accessibility for families. 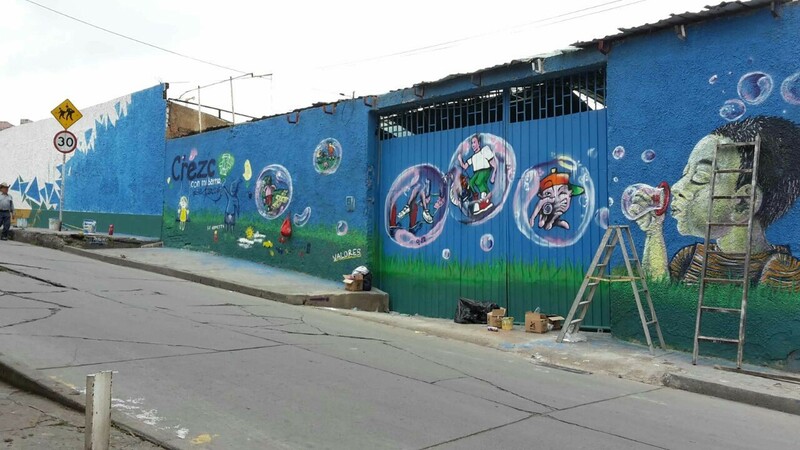 In Bogotá, choosing the location of the first children’s priority zone involved a data-driven process led by partner Casa de la Infancia and involving multiple departments of the city government and other stakeholders. 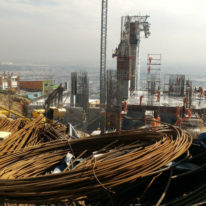 After mapping areas of greatest challenges for children, and opportunities for change presented by public interventions, a zone was chosen: in the Acacia and San Luis Colmena neighbourhoods of San Francisco, in the district of Ciudad Bolívar, where a new cable car – the Transmicable – is currently being constructed. 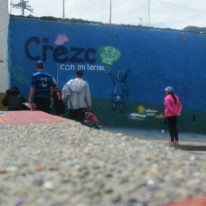 The children’s priority zone pilot project, called Crezco con mi barrio (‘Growing with my neighbourhood’), held its first event in October 2017. 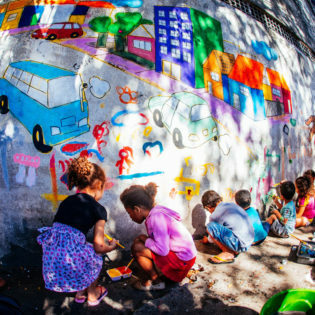 As the process of engaging the community in Bogotá was implemented, the Foundation was negotiating a partnership with the city of Recife in Brazil. 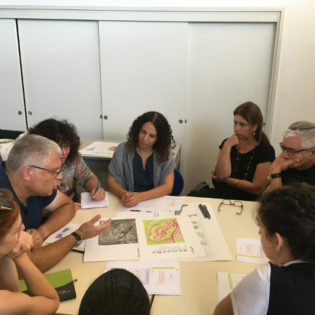 That partnership – signed at the end of 2017 – adopted the children’s priority zone, giving us the opportunity to compare how this idea can work in different contexts and creating possibilities for a learning exchange between the two cities. In 2018, delegates at Walk21’s XIX International Conference on Walking and Liveable Communities, held in Bogotá, saw how the zone was working. We hope to see more cities adopt and experiment with the concept. We hope to see more cities adopt and experiment with the concept.